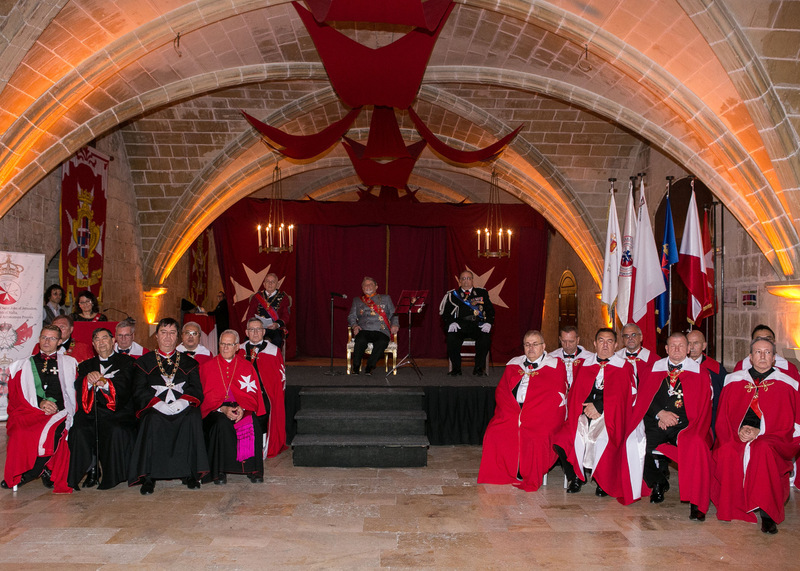 It was an enormous pleasure and honour that after many years of pause we returned to Malta and a Solemn Ceremony of Investiture of the Sovereign Order of St. John of Jerusalem, Knights of Malta was held in Valletta – the European Capital of Culture 2018 (Malta) – between the 1st – 4th of November 2018. 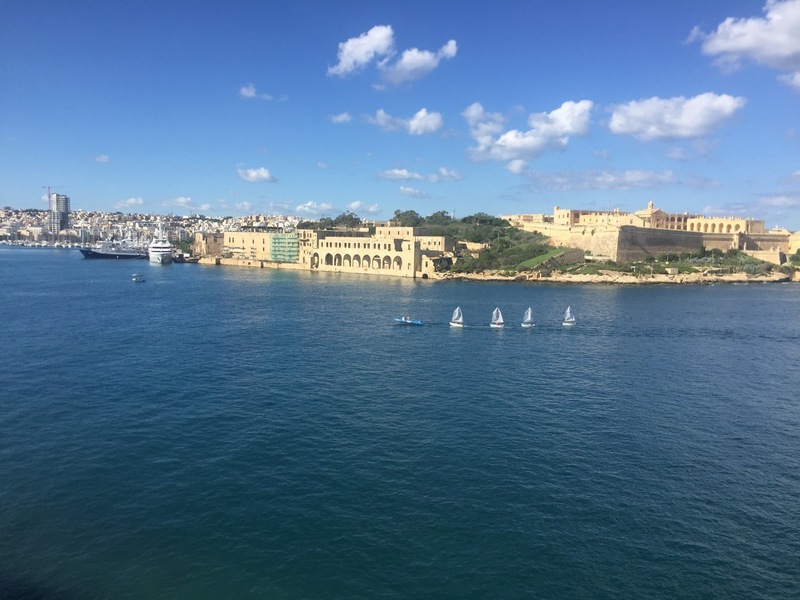 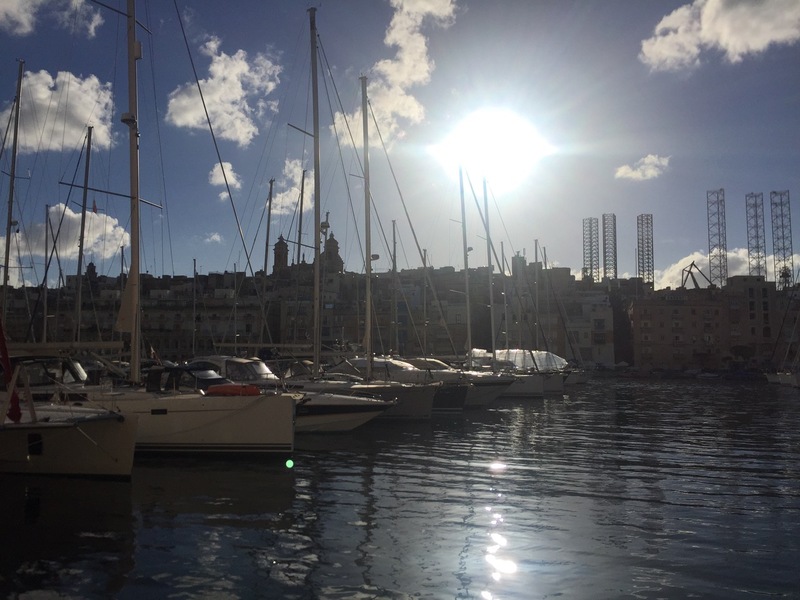 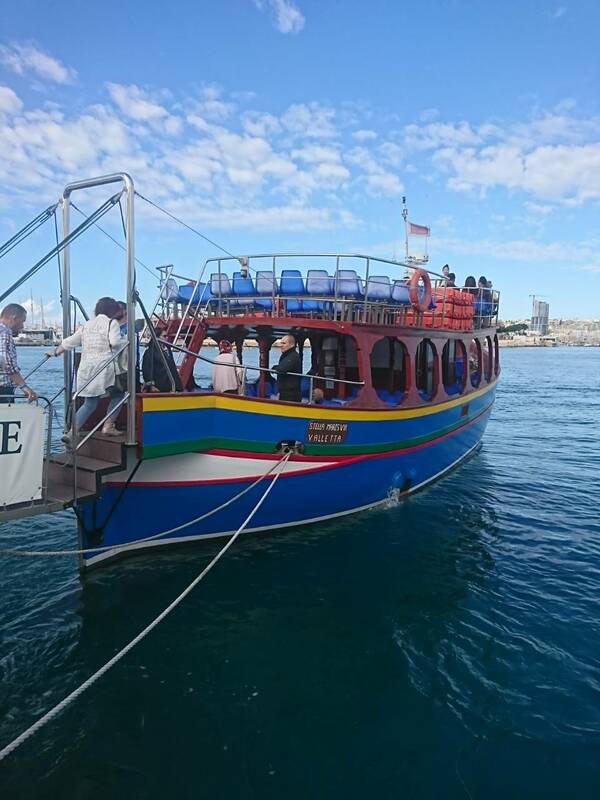 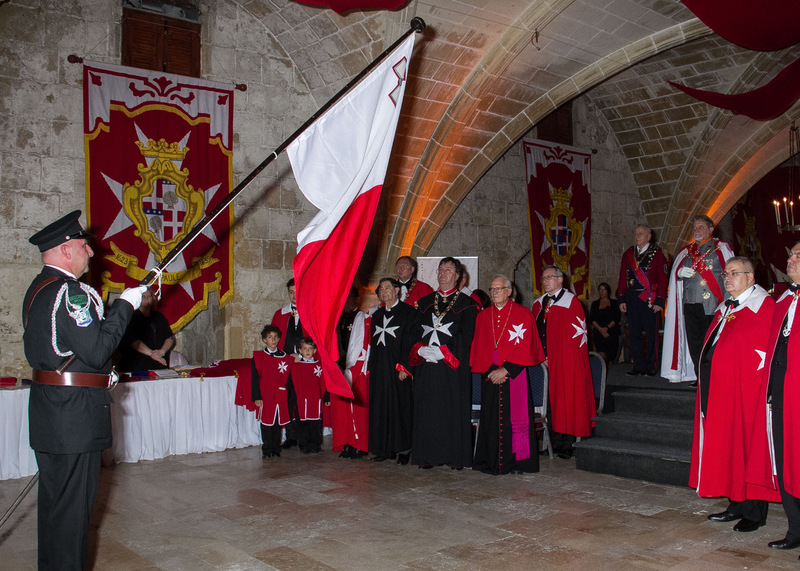 •	we also remembered a decisive moment in the history of the Order: it happened 220 years ago that the knights were forced to leave Malta, where in 1530 they established and created their own State. 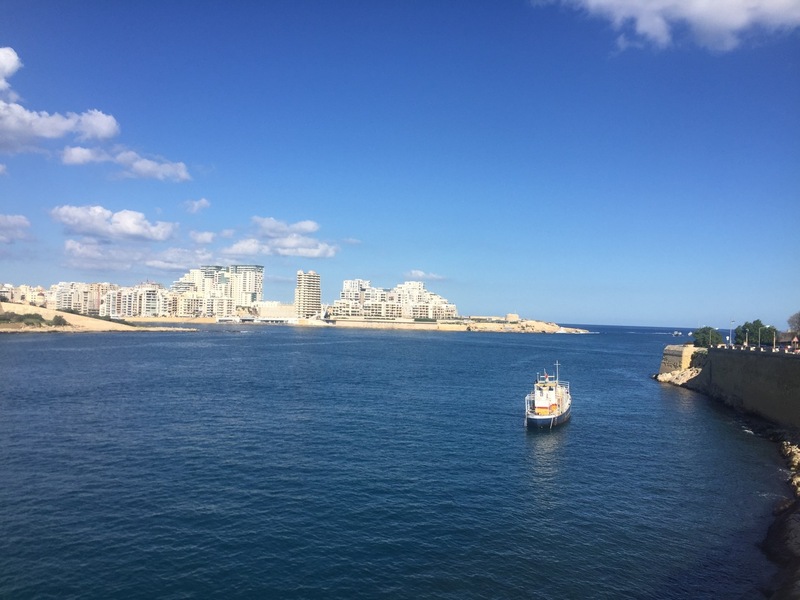 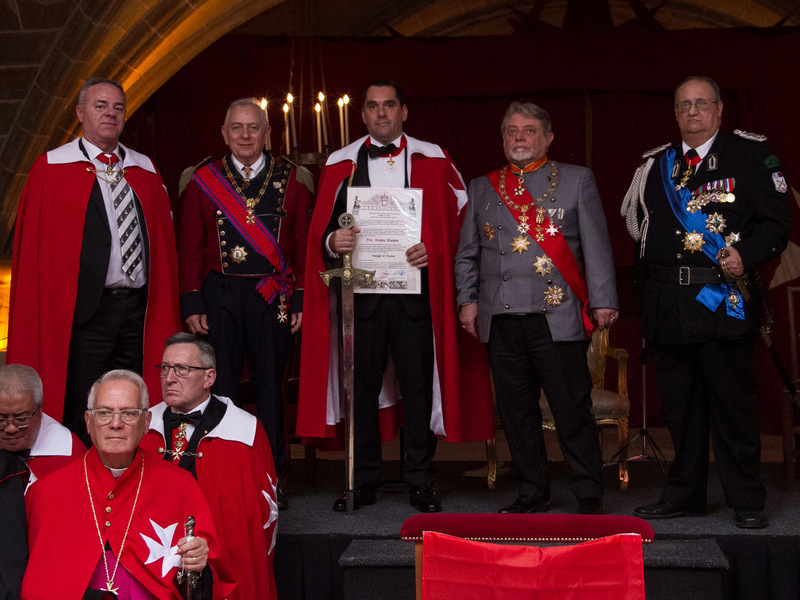 The arrival of Napoleon to Malta in 1798 put an end to the 268 glorious years of the independent and sovereign State of the Knights of Saint John in Malta. 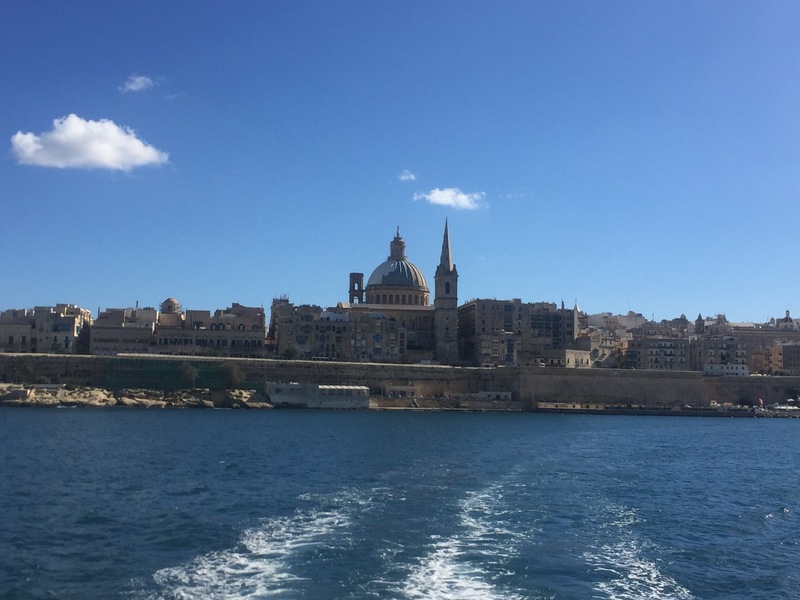 The knights had to leave Malta, captured by the French Army without opposition, due to the rule of the Order, which prohibits the fight against other Christians. 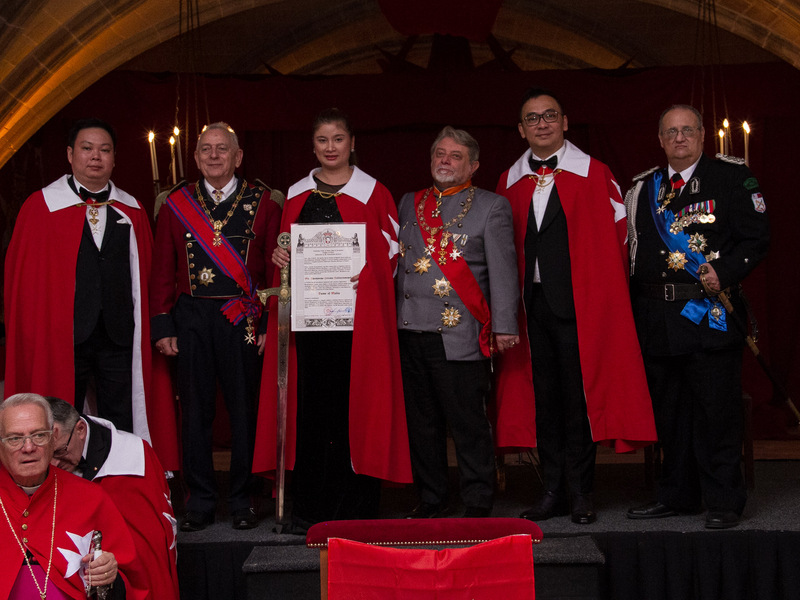 The members and the leaders of the Order fulfilled a long-time nurtured desire: returning to our historic sites and our roots. 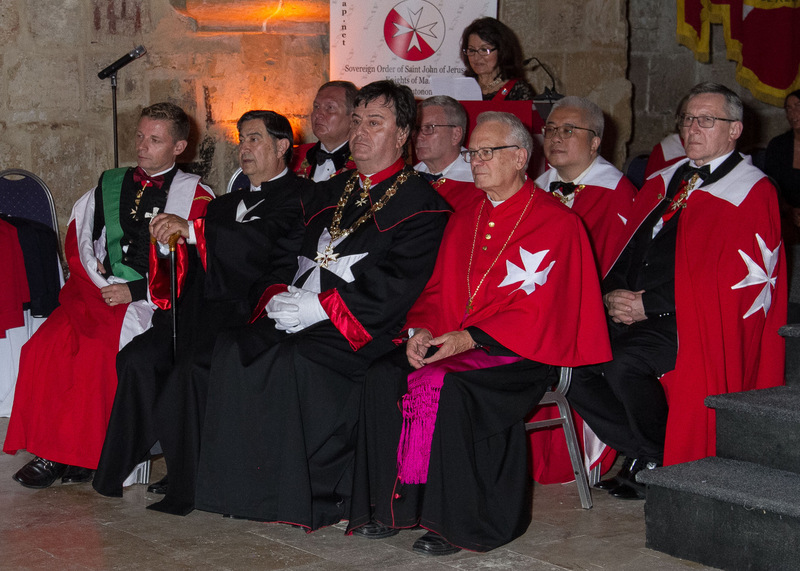 In this spirit in March 2018 we paid a memorable visit to Jerusalem, the birth place of the Order and we organised a beautiful ceremony of investiture in Israel, in the second city of the Knights at the Holy Land: Saint John of Acre / today called Akko, at the beautiful and well preserved medieval fortress built by the knights during their 250-yearlong presence in the Holy Land until 1291. 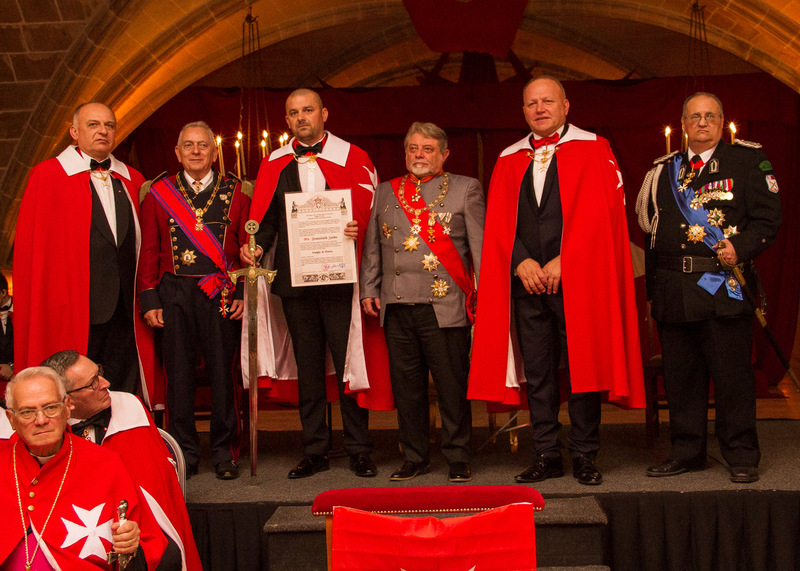 So, we decided to organise a grand ceremony in Malta full of emotions. 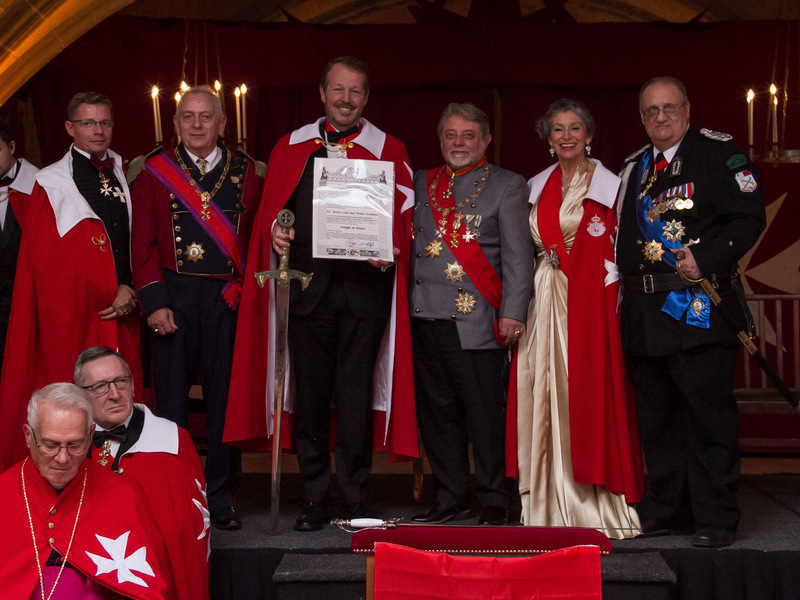 It was a great pleasure for all of us that the dames and knights of our Order and their families showed an unprecedented interest toward this exceptional event and the programs related to the history of the Order and the knights. 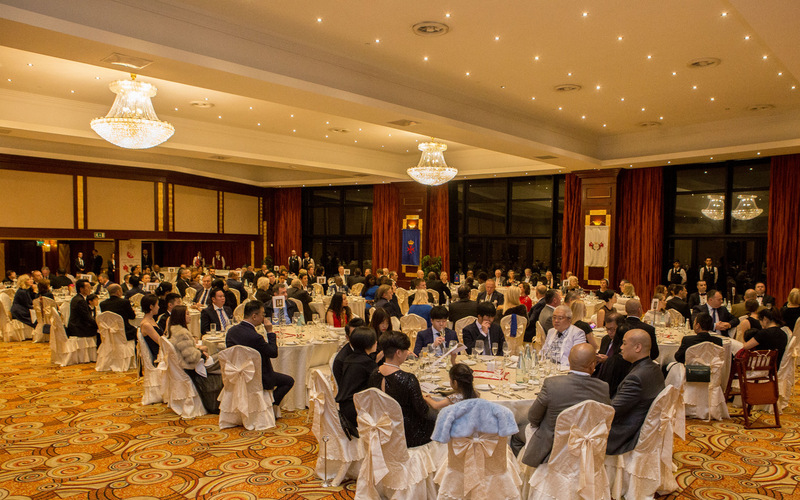 The event was attended by 250 participants from 35 countries of 4 continents. 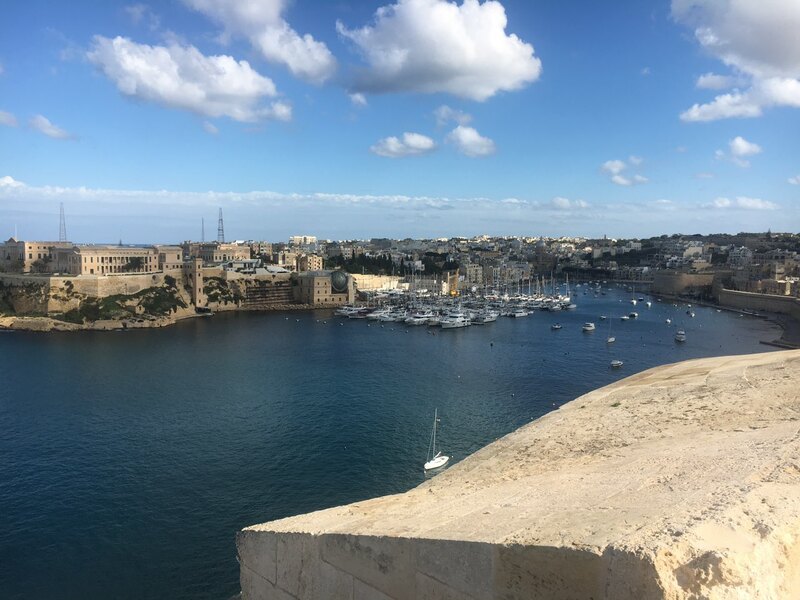 The headquarters hotel was the extraordinary Grand Hotel Excelsior, situated at the seaside and very close to the city centre. 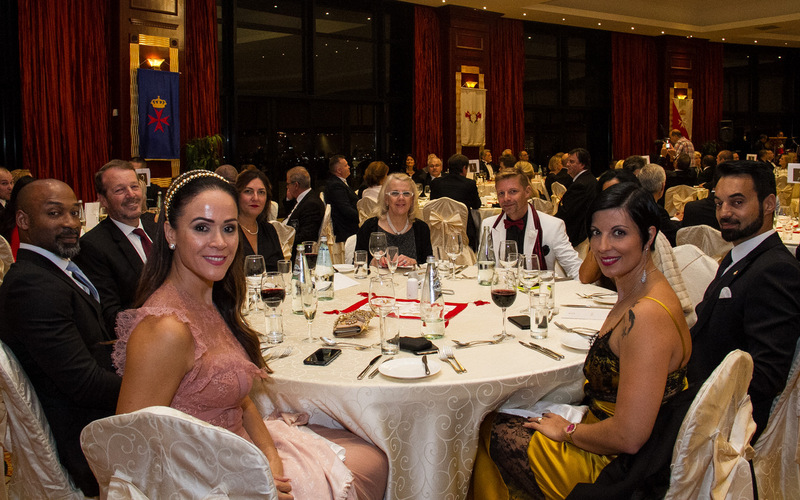 The traditional Gala Dinner was hosted in the Hotel's Ballroom on the 2nd of November 2018. 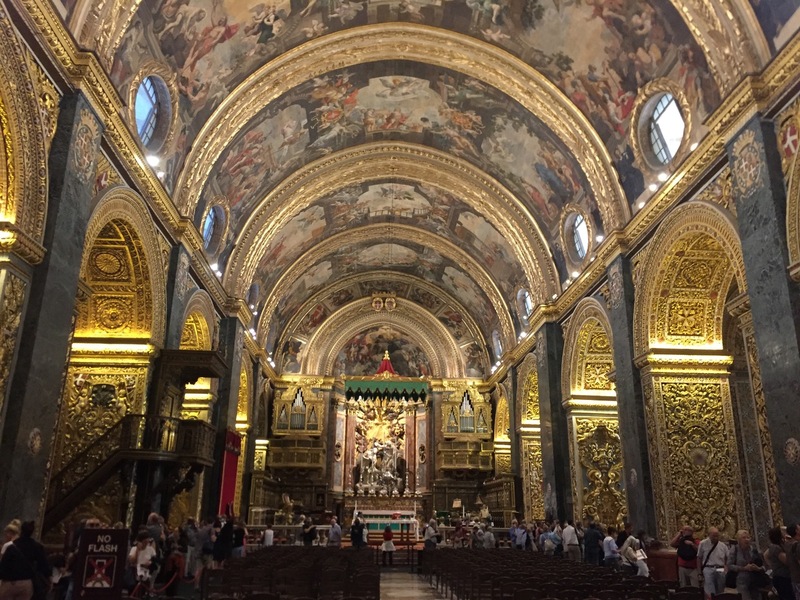 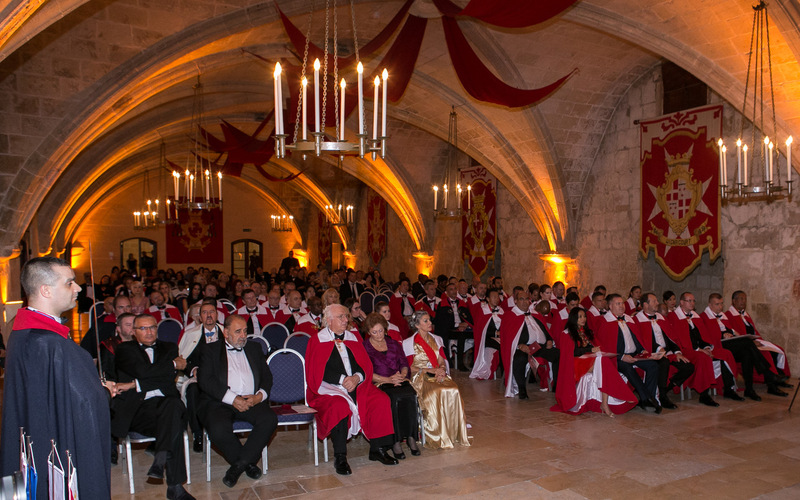 The ceremony of investiture took place on the 3rd of November, Saturday afternoon, in a highly historic place in Valletta, the Sacra Infermeria, which was converted into Mediterranean Conference Centre (MCC) 40 years ago. 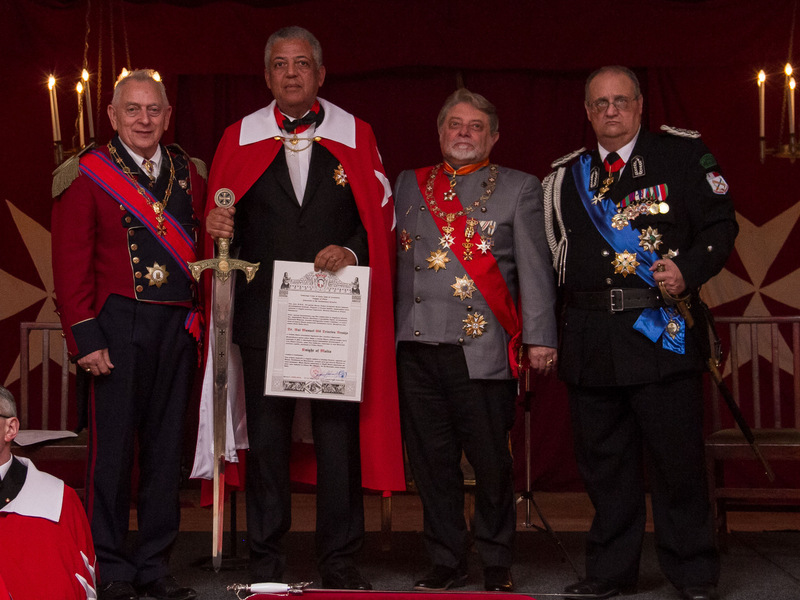 Saturday morning, we held the traditional General Chapter of Knights led by the Grand Master H.M.E.H. 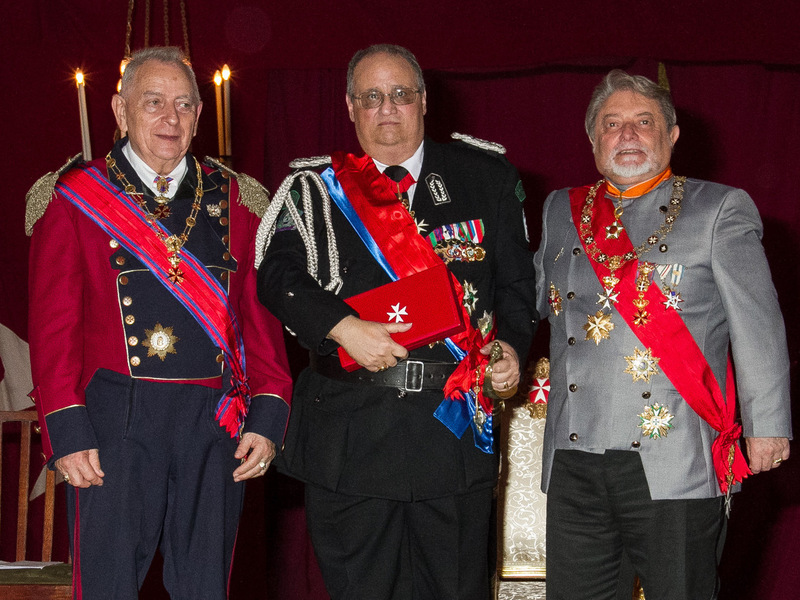 Prince José, the Lieutenant General H.G. 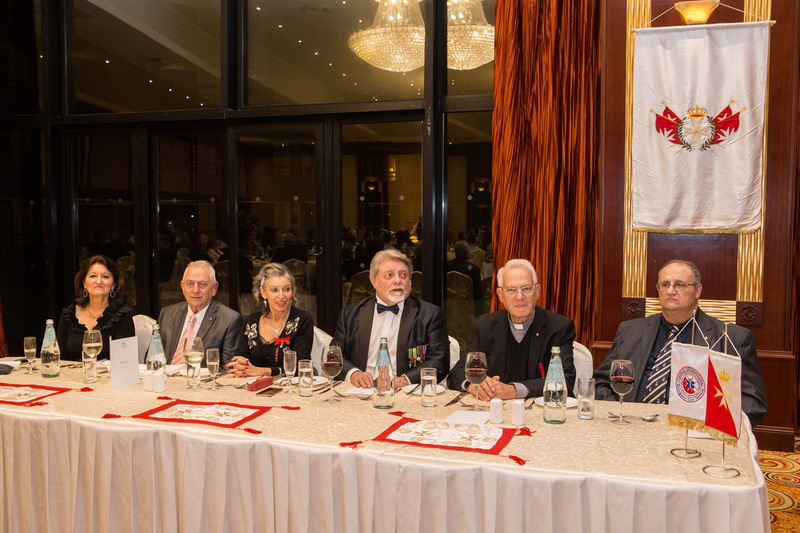 Prof. George Popper, and Sir Charles Nagy, Minister of Foreign Affairs. 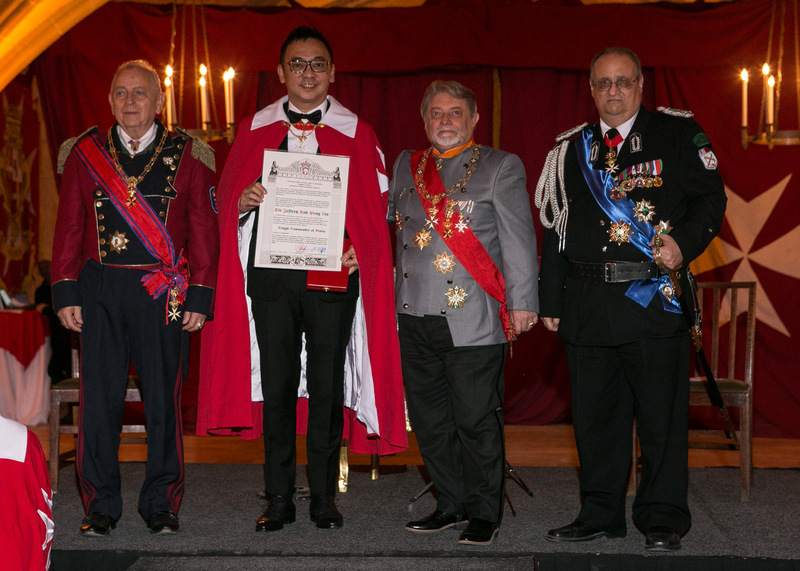 During this session, the Postulants had the possibility to receive a lot of information about the various aspects of the activity of the Order, with special regard to the humanitarian work. 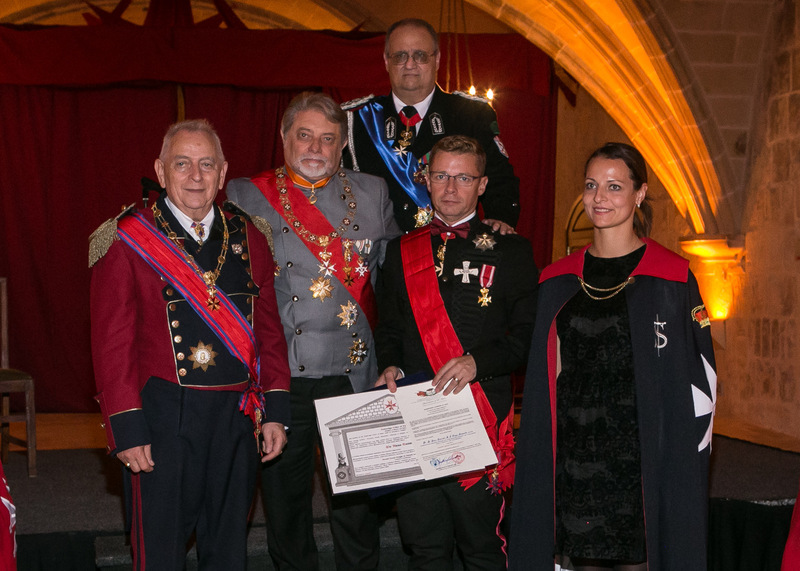 Then they saw a presentation about the Order, followed by a film on our continuous humanitarian activities in Africa, afterwards another presentation was held by the Slovakian Grand Priory on their humanitarian actions during this year. 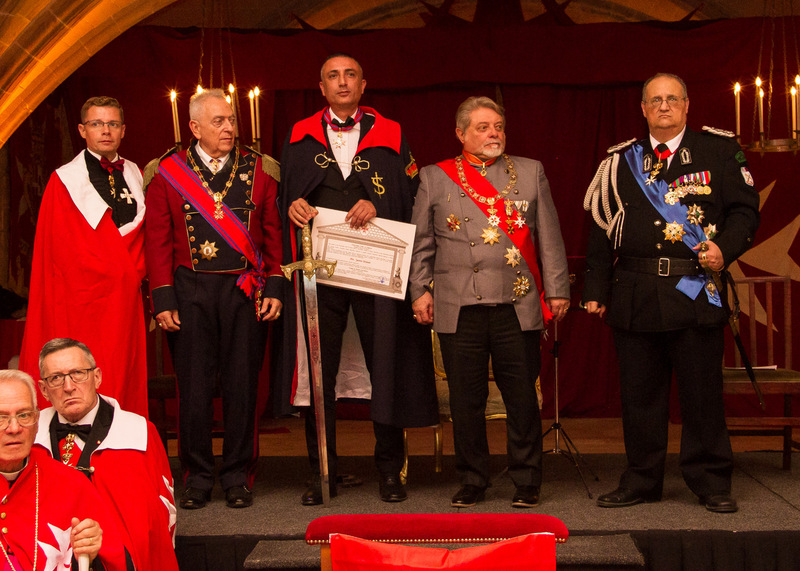 The Postulants introduced themselves or were introduced by their godfathers / godmothers to the audience composed of knights and dames, family members and many guests. 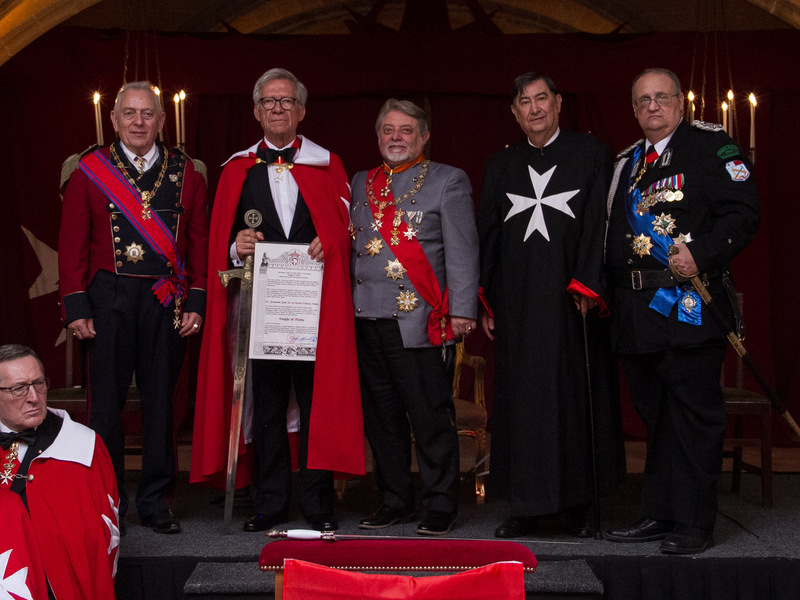 The 2-hour meeting was followed by an ancient and very intimate knightly tradition, inherited from our great predecessors: The Watch of Arms, when the postulants got acquainted with the symbols, they will receive while being knighted, the customs and rules of the knights that they have to respect and preserve, by meditating on their future after this important event in their life. 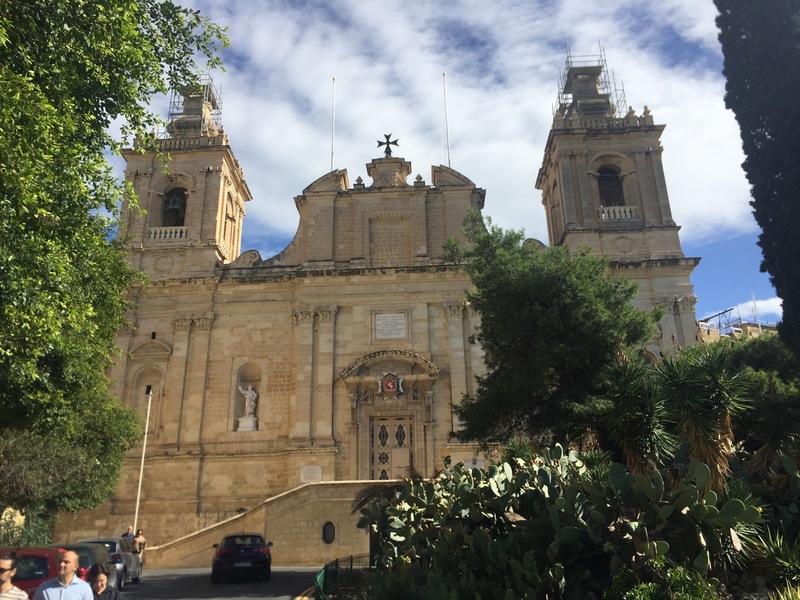 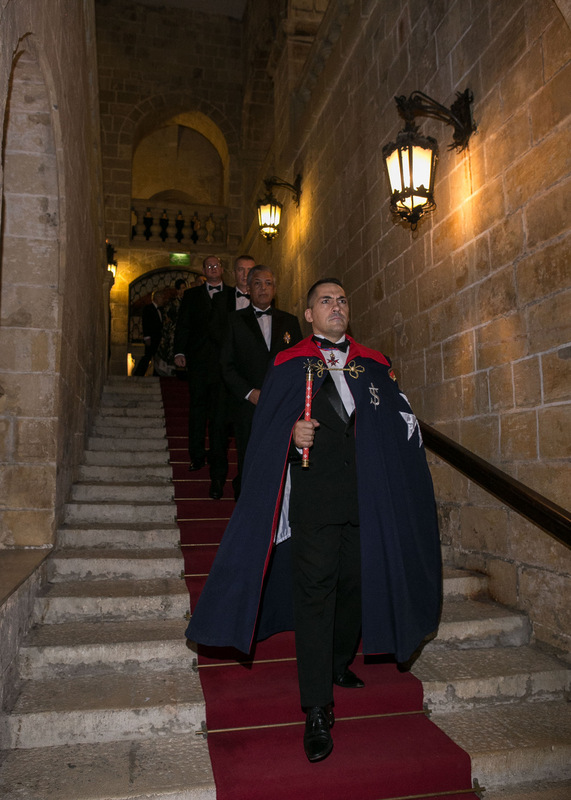 The solemn investiture ceremony started at 5.00 pm at the imposing building of the former hospital, the Sacra Infermeria, which is a National Monument, the heritage of Malta today. 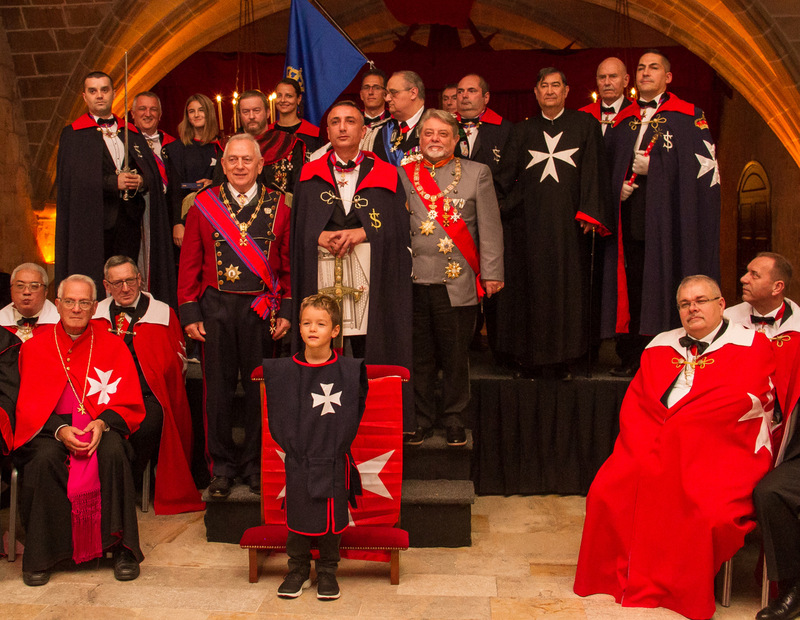 The participants gathered in the Vassalli Hall and started marching into the La Valette Hall – beautifully decorated with the flags and the symbols of the Order. 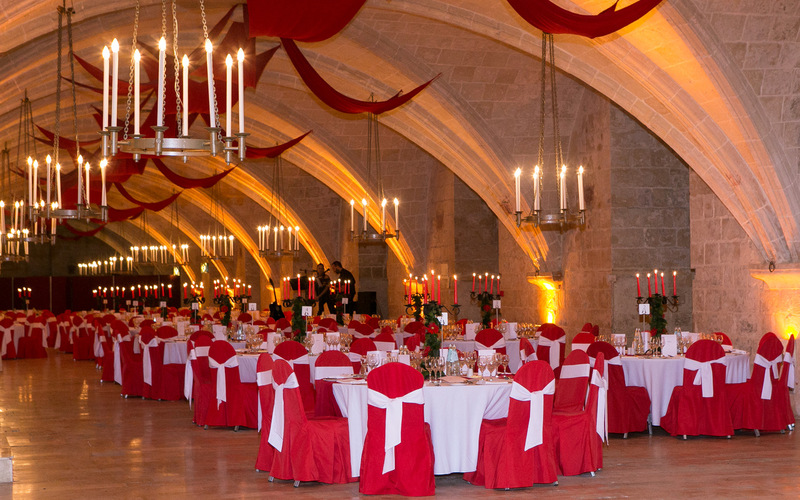 This prestigious hall is 155 meters in length without support, it was one of the wards of the hospital, which the knights started to build in 1574. 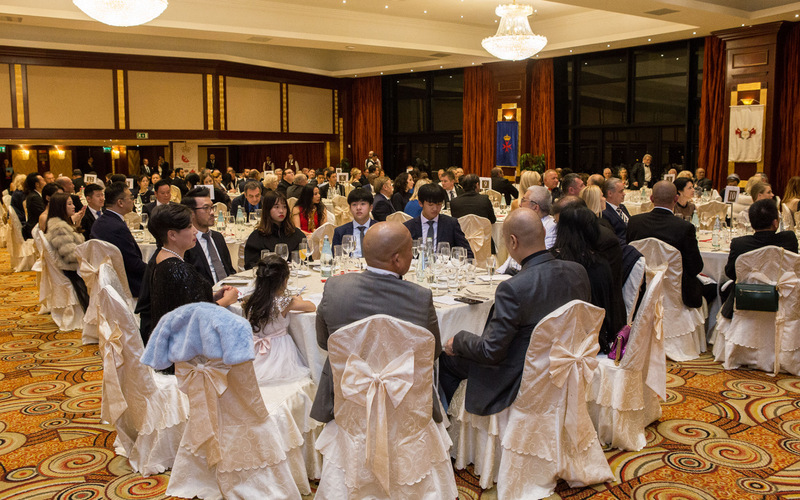 The Hall was packed, 250 people from 35 countries of 4 continents attended our significant event. 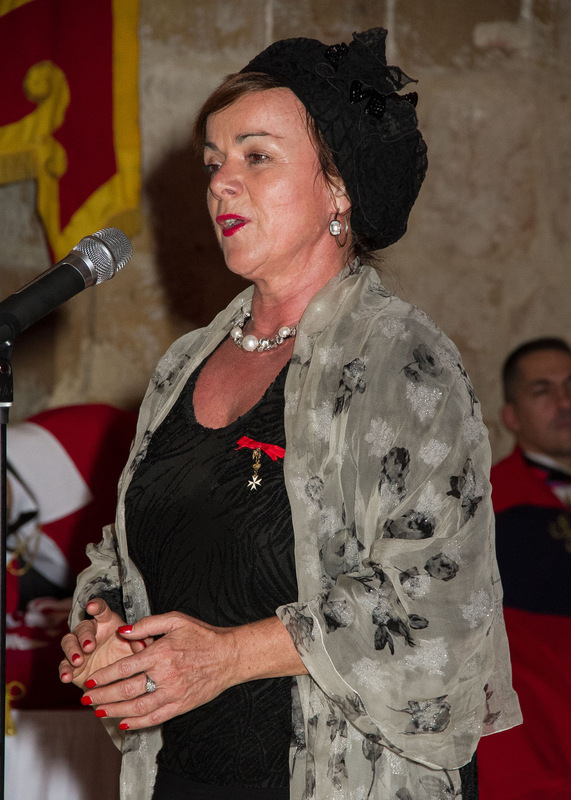 The Speaker, Lady Anna announced the beginning of the ceremony. 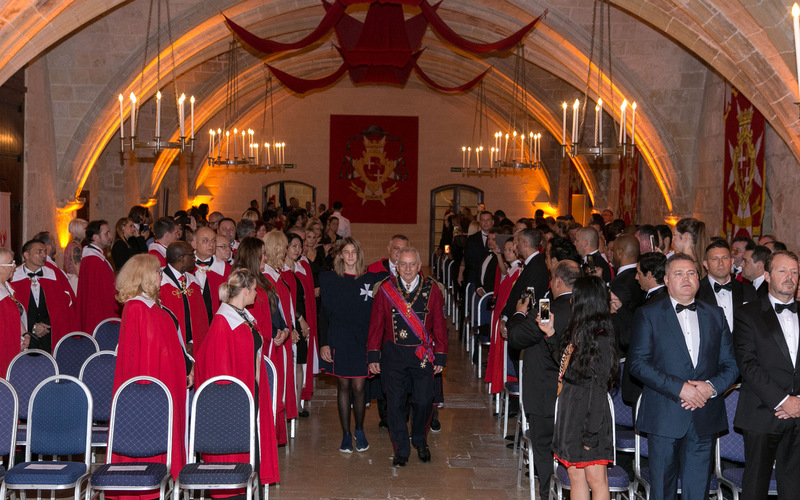 First the 24 postulants entered the Hall, followed by the knights and dames, then the officers of the Order, strictly respecting the hierarchy, followed by the Lieutenant General and the Grand Master with his wife, Princess Isabel. 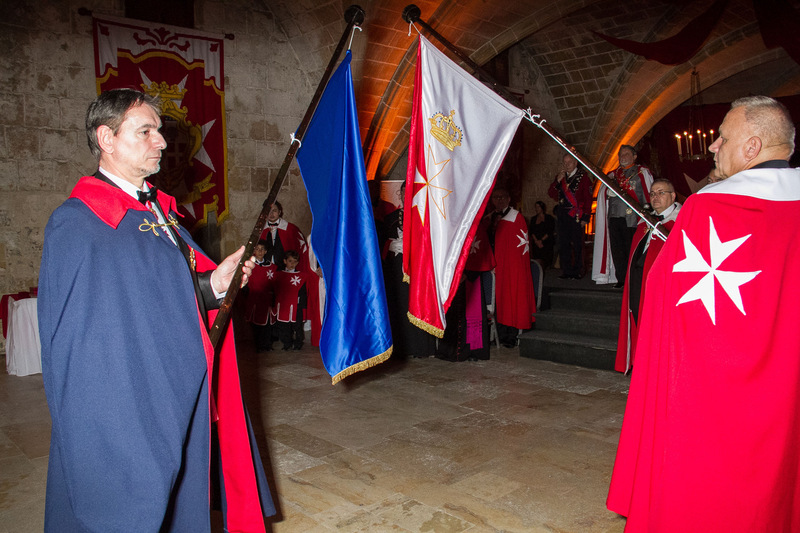 After listening to the Maltese and the Order of Saint John of Jerusalem anthems and watching the arrival of the national flags and the sword of investiture, we proceeded to remembering our deceased and ill knights with the sounds of Ave Maria, sang by Lady Lívia Ághova. 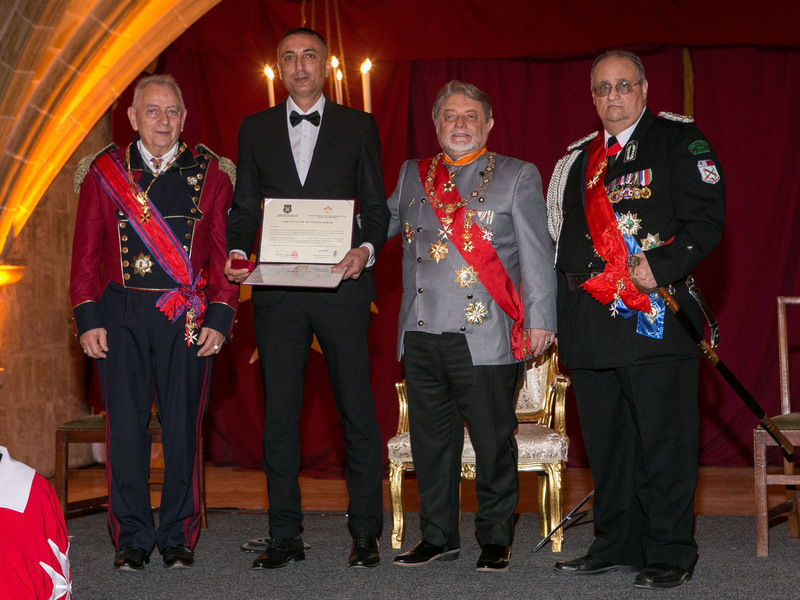 •	Diplomas of Excellence were given to Mr. Simon Camilleri from MEDILINK and to Mr. Jason Pisani, owner of Protection Services of Malta Ltd.
Then we proceeded to the Knighthood Ceremonial. 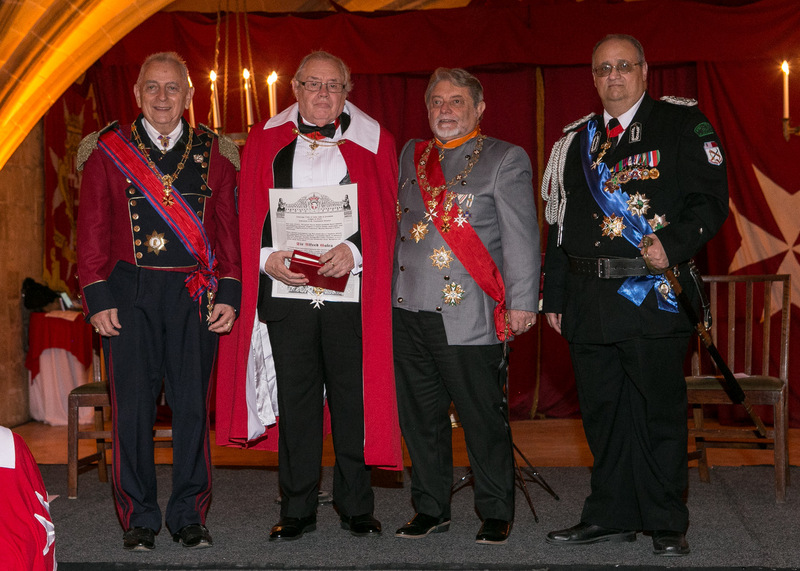 The Grand Master delivered his address to the postulants, then asked the Magisterial Chaplain, Mons. 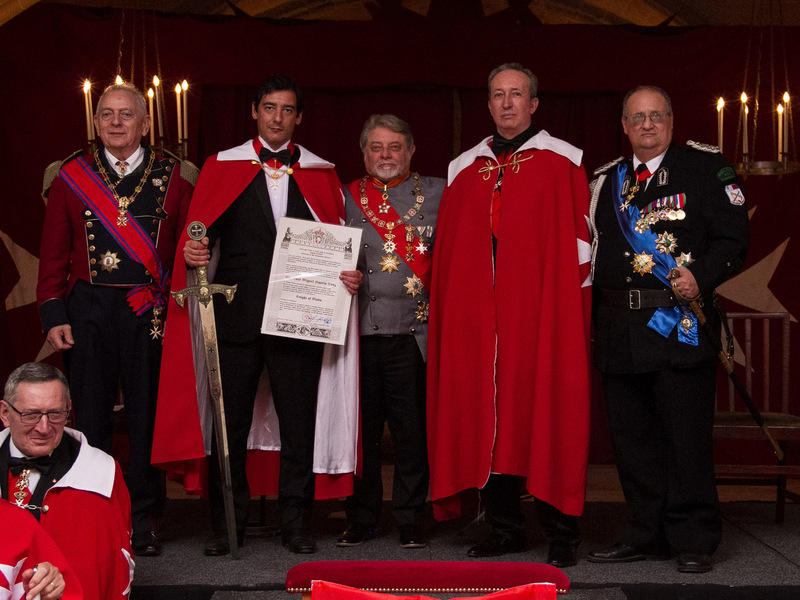 Fabio Fabbri to Bless the Insignia of the Order: the neck-cross and bow, the capes, the sword, the Golden Spur, and we listened to Vissi d'arte from Tosca from Puccini's Opera, sang by Lady Lívia Ághova. 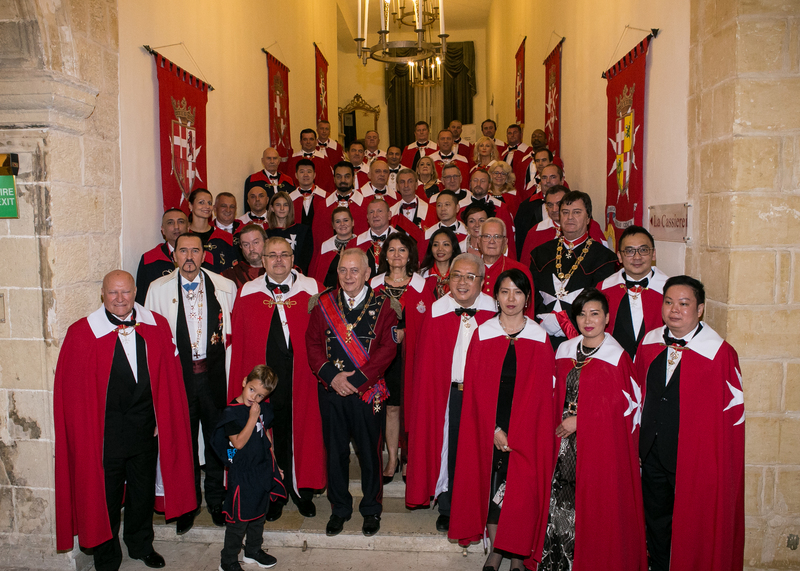 23 Postulants, including 4 ladies, were knighted to be members of the Order of Saint John of Jerusalem, Knights of Malta coming from Portugal, Mozambique, Croatia, Slovakia, Romania, Hungary, UK, China/Hong Kong, Angola, Thailand, Singapore, Canada, Poland, Japan, Ukraine, Czech Republic, assisted by their Godfathers or Godmothers, and received the beautiful red capes with the white 8-pointed cross, as a symbol of the fraternity of the Order, and the neck-cross, as a symbol of true love, strong faith and everlasting charity, as a shield of protection of the knights. 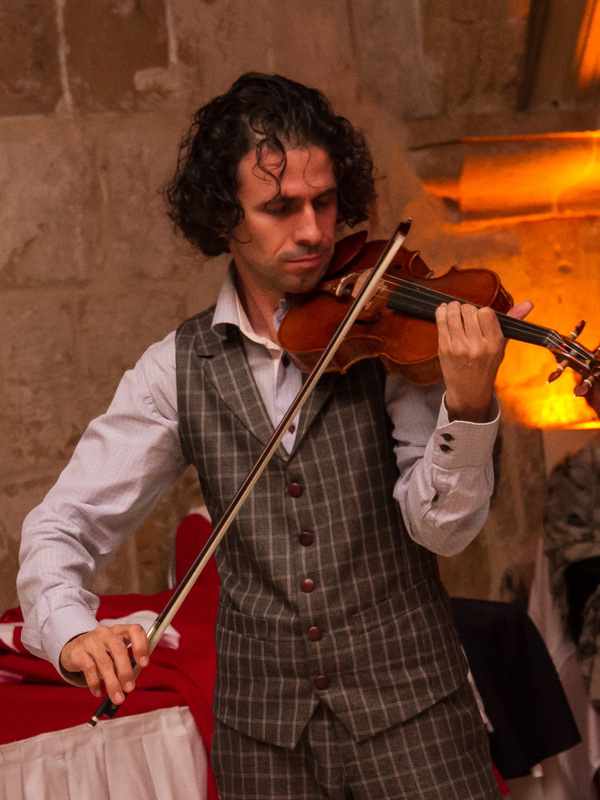 During the ceremony, we could listen the play of the famous Ukrainian violinist, Volodymir Baran, living in Malta. 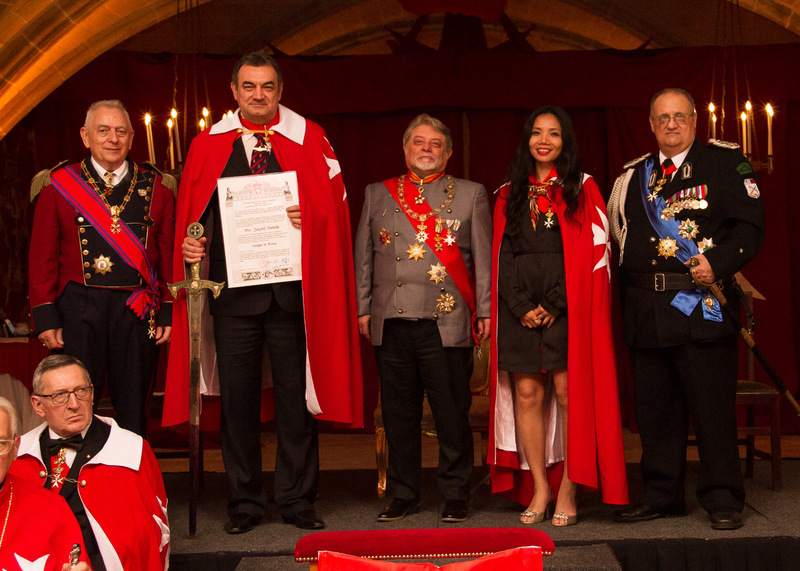 After changing of the flag, the investiture of the Sovereign Order of Cyprus started, with the introduction by H.G. 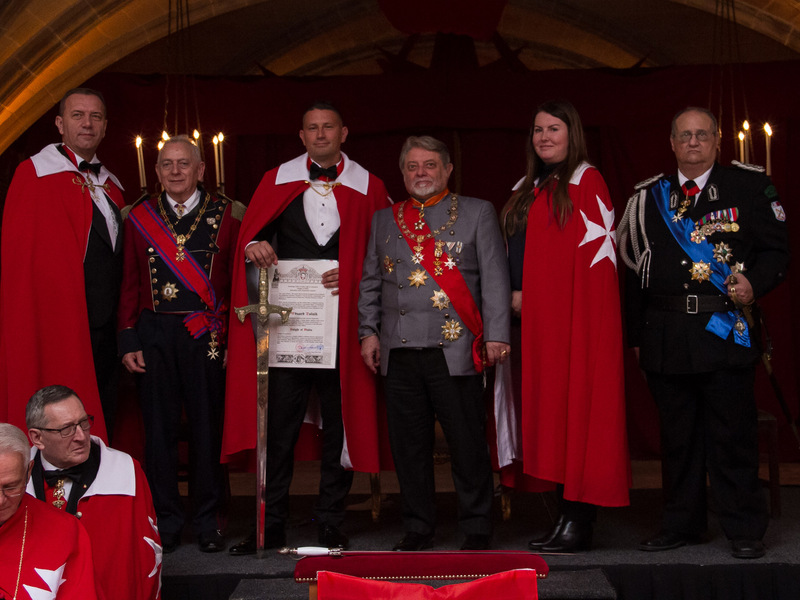 George Popper, Executive Grand Chancellor of the Sovereign Order of Cyprus also known as the Knights of Sword and Silence. 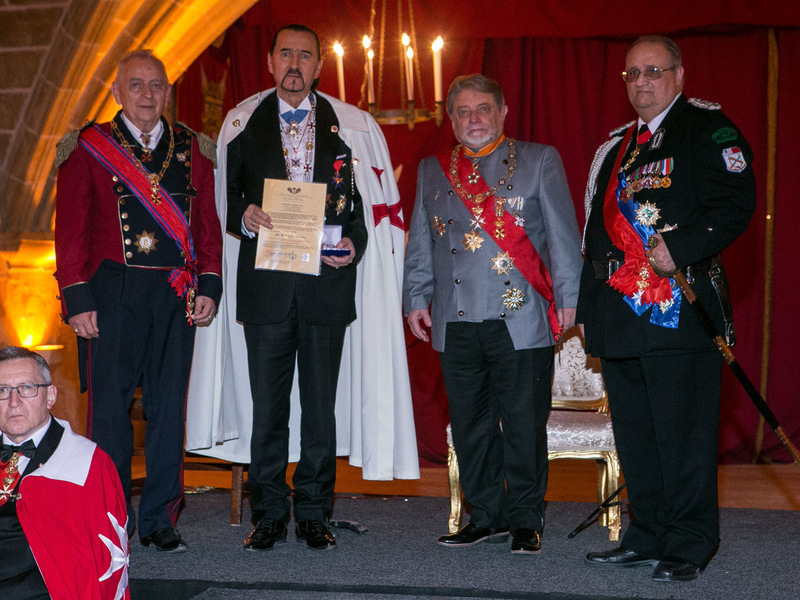 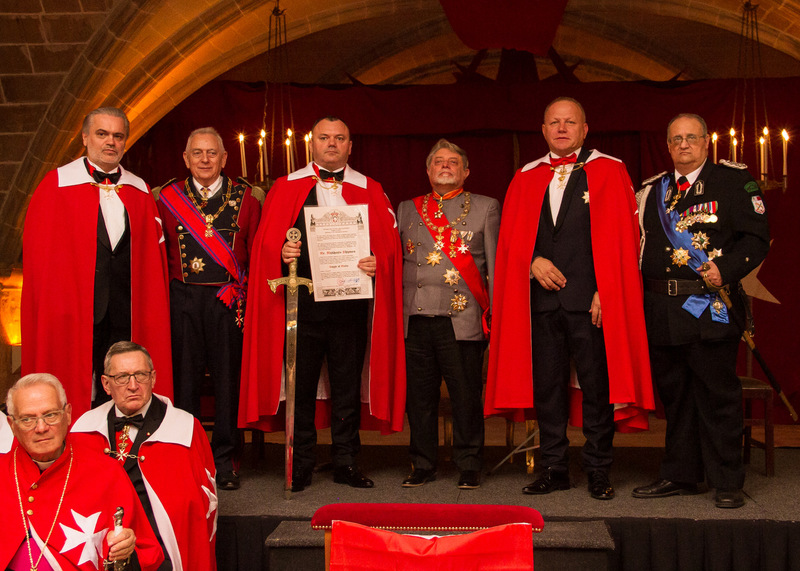 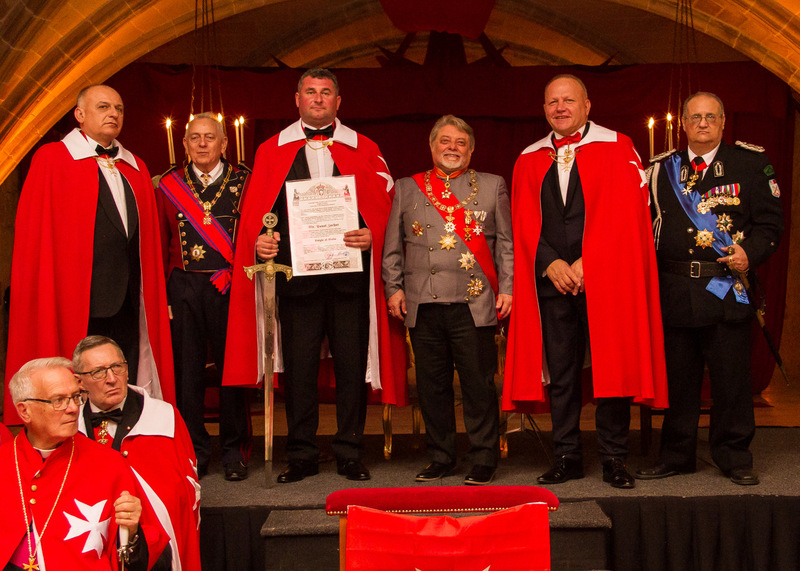 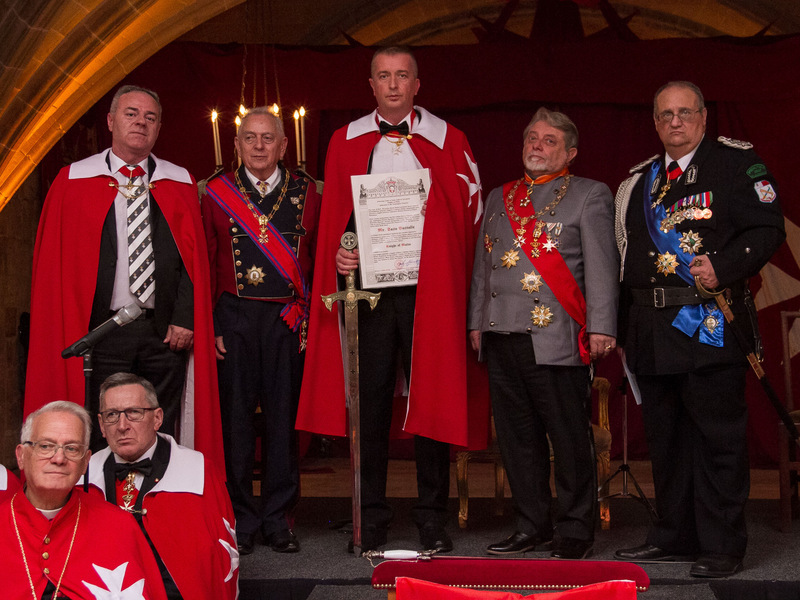 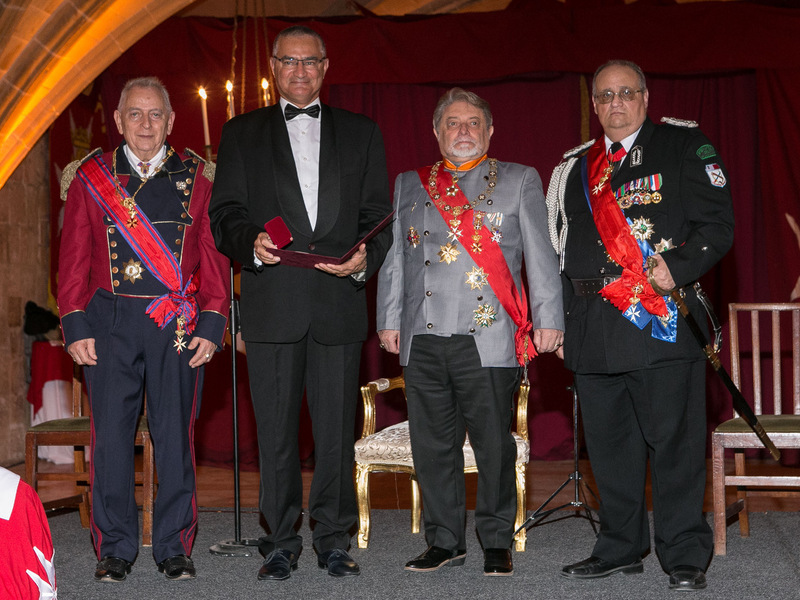 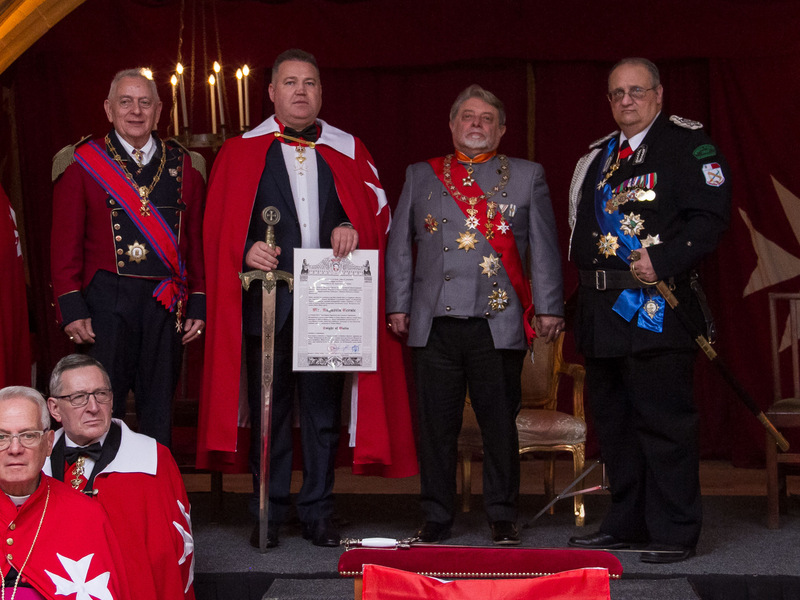 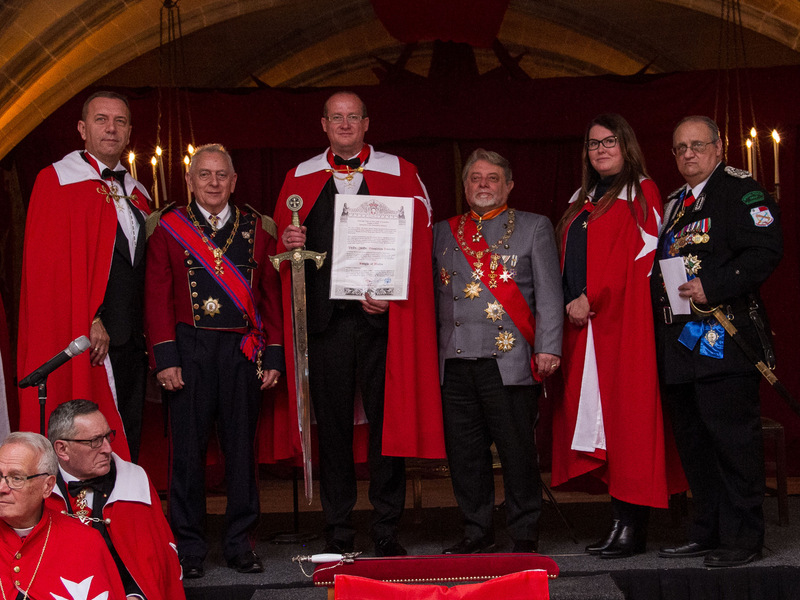 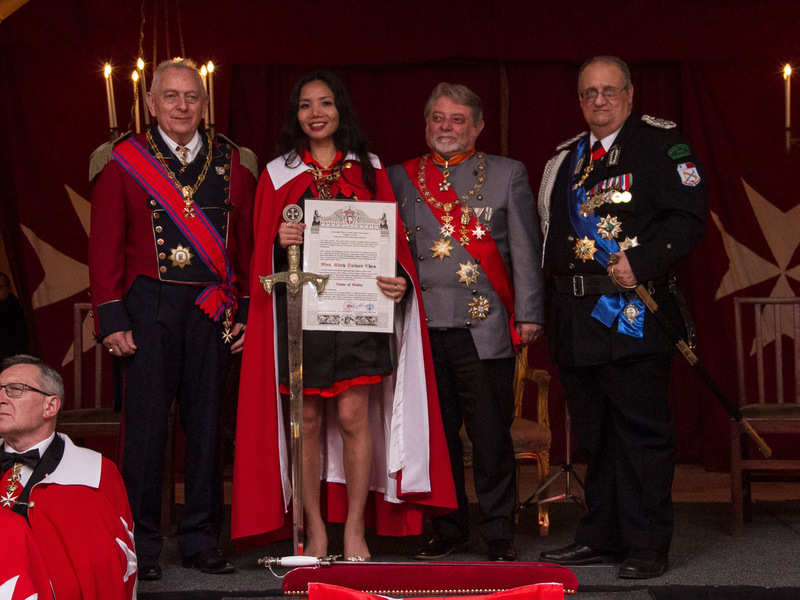 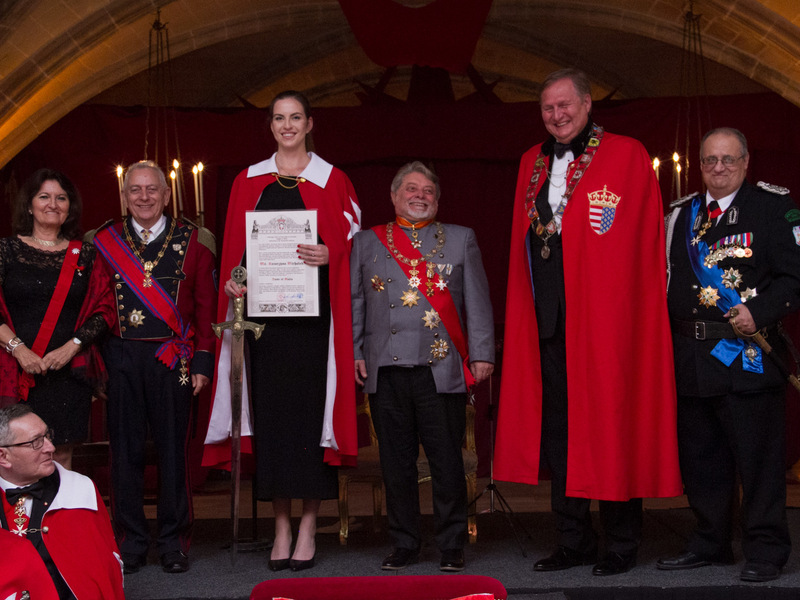 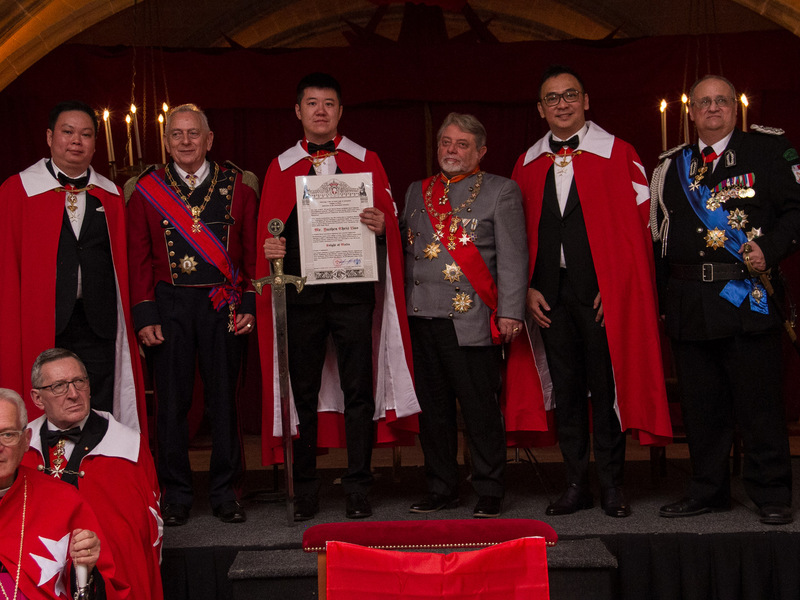 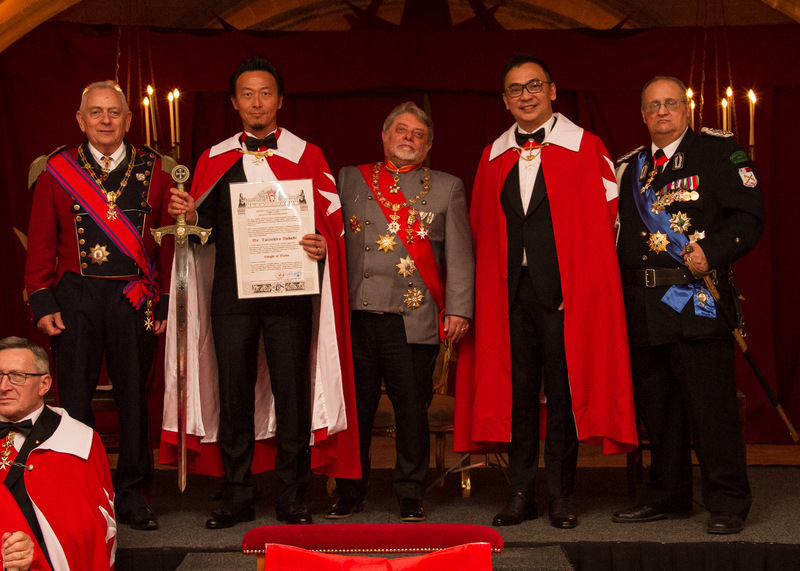 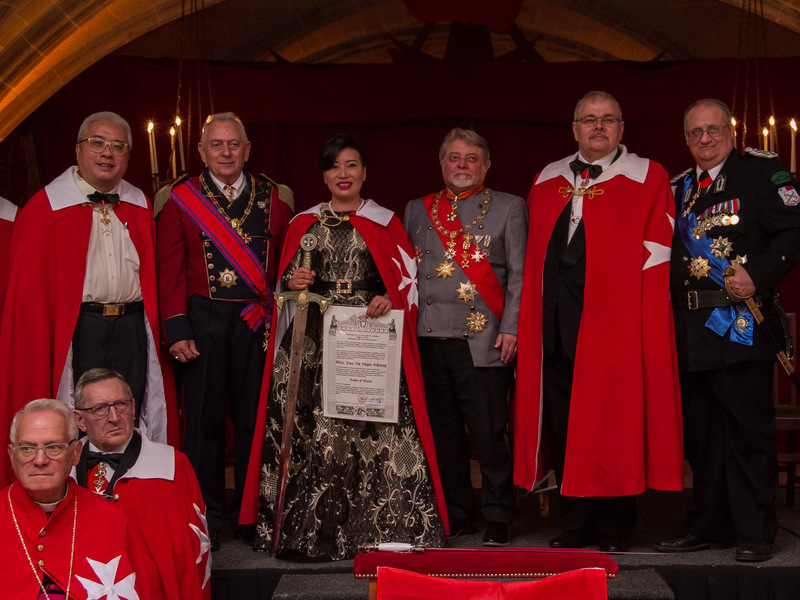 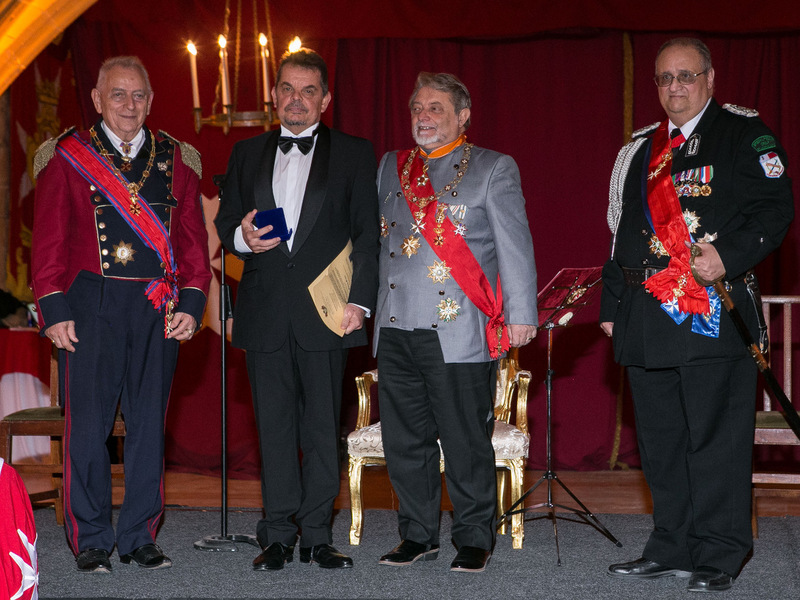 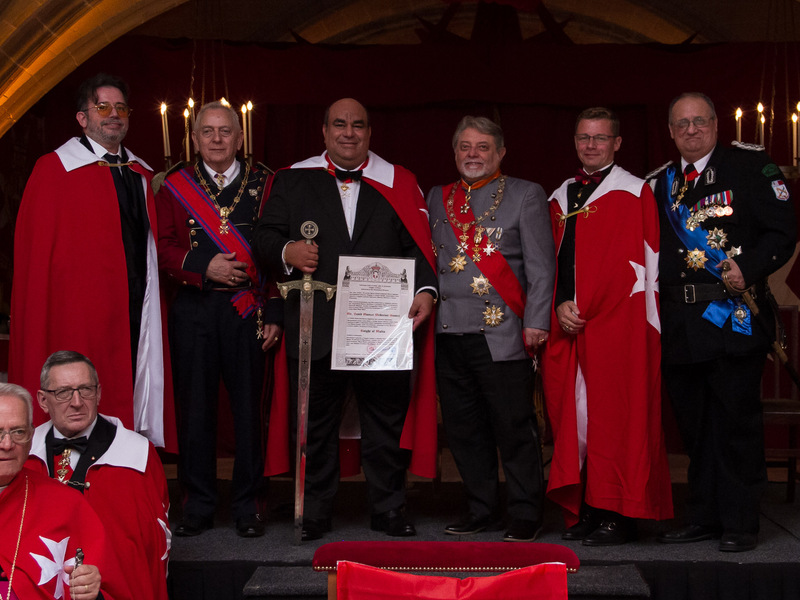 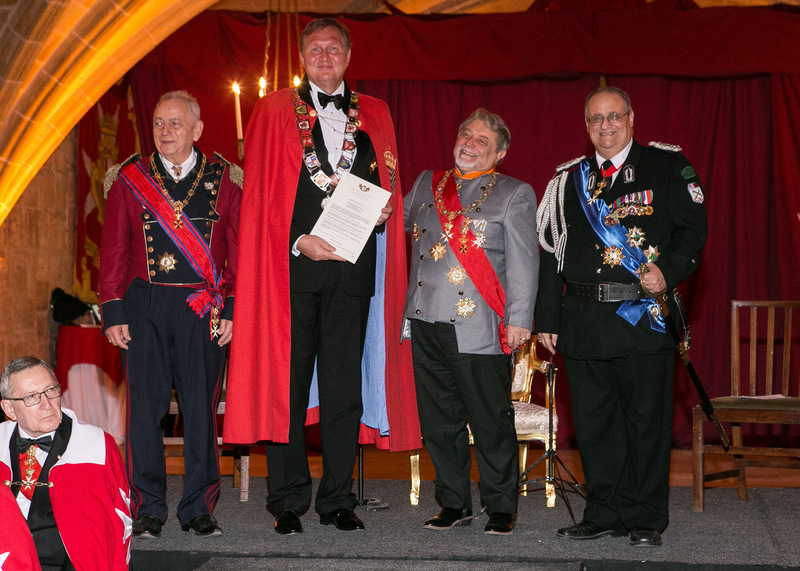 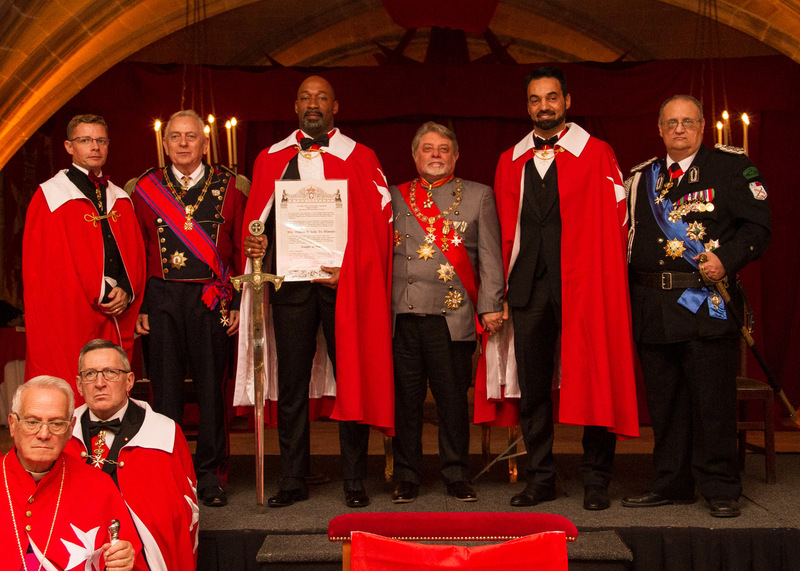 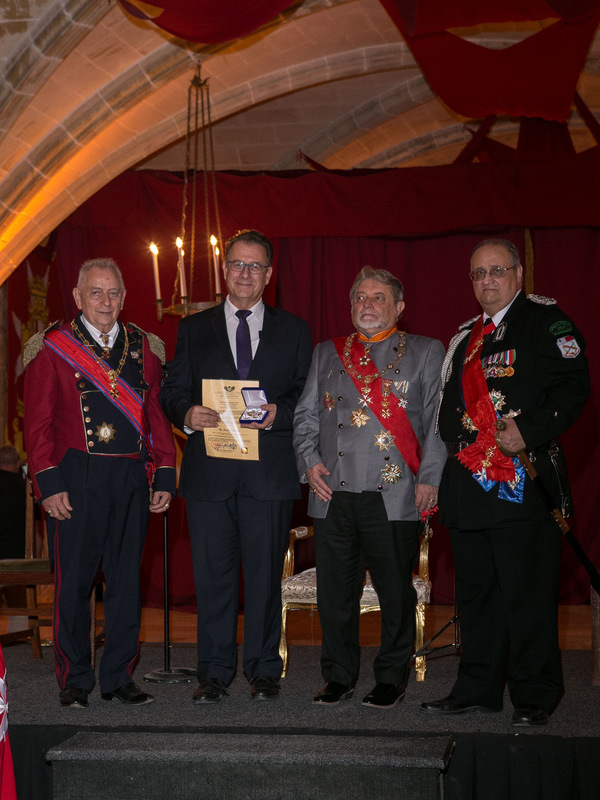 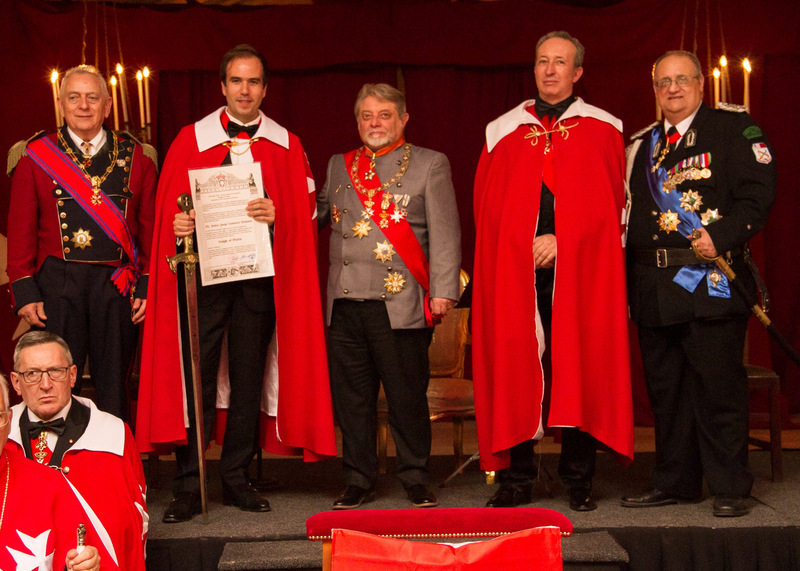 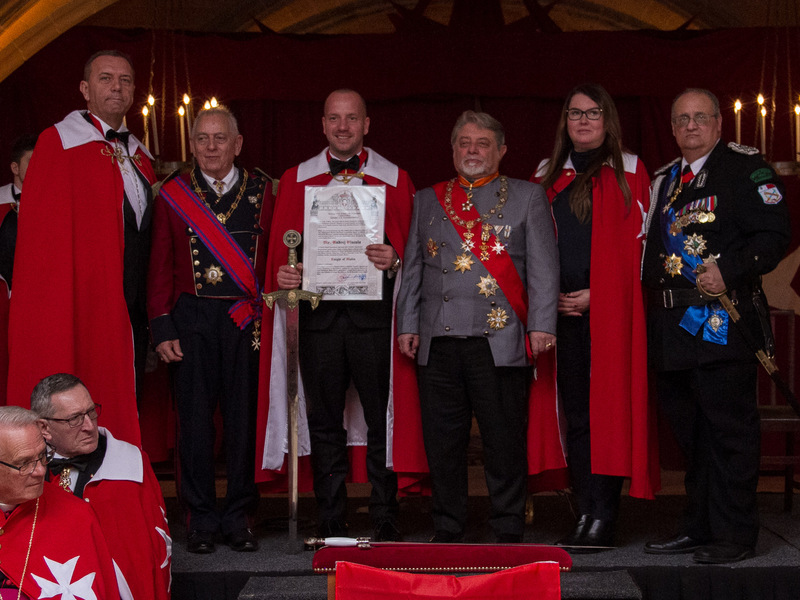 This time one candidate from Malta, Mr. Jason, Pisani was knighted and received the honour to wear the blue cape of the knights with red 8-pointed Maltese cross, thus he became member of the small community of 100 persons of the Order of Cyprus. 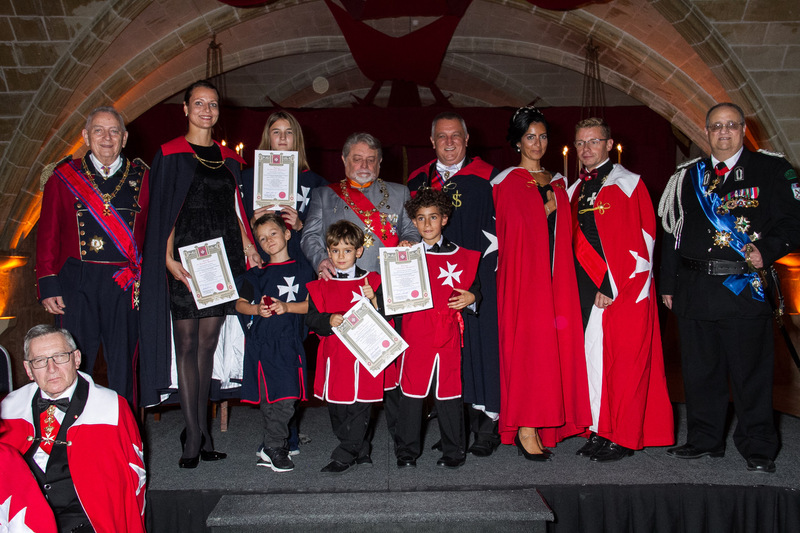 At the end the squires and damsels present this time were given nice diplomas for their exemplary attitude and assistance at the ceremony. 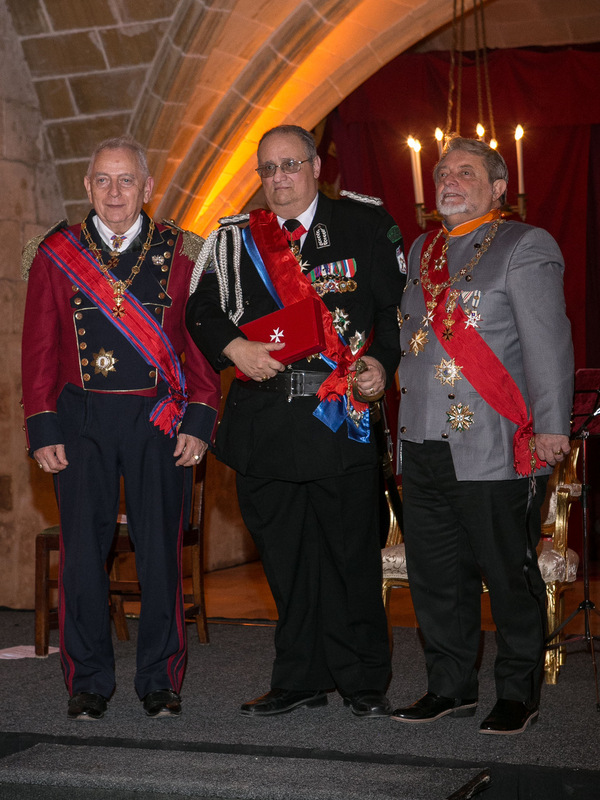 The speaker congratulated all new knights and dames, thanked the large number of knights and dames, who took part in the organisation of the event, and so contributed to its success with their devoted work. 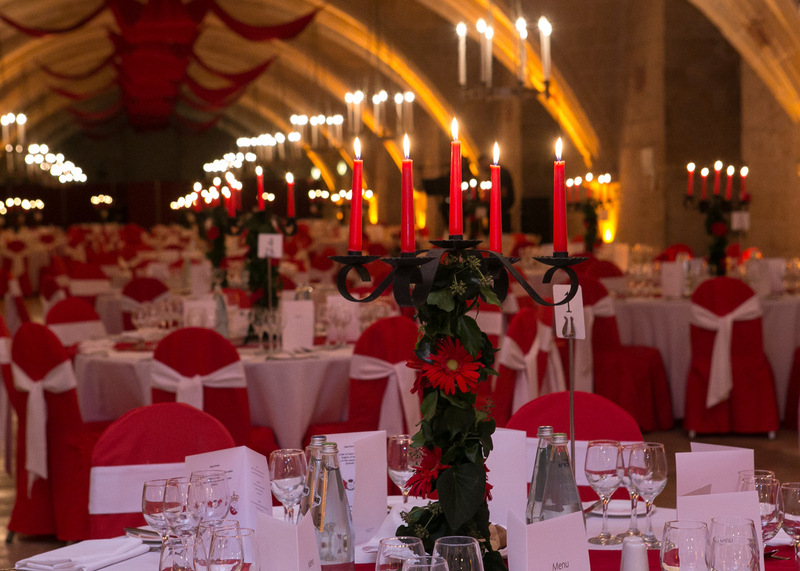 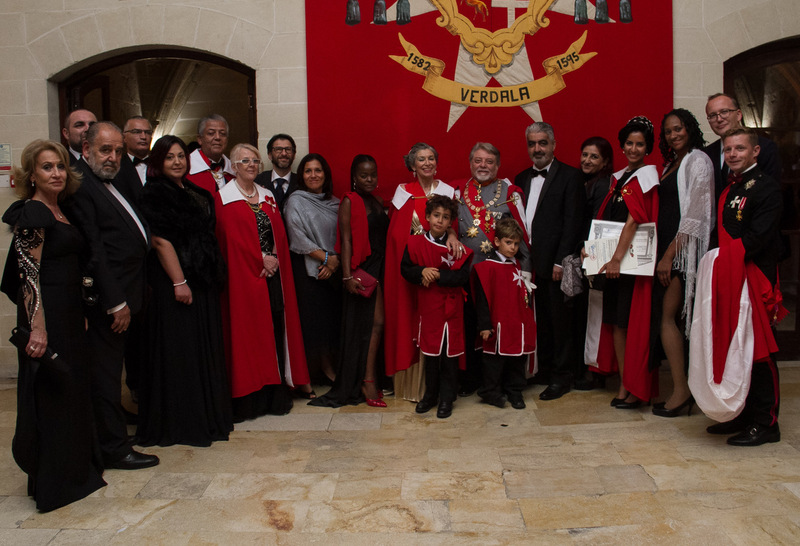 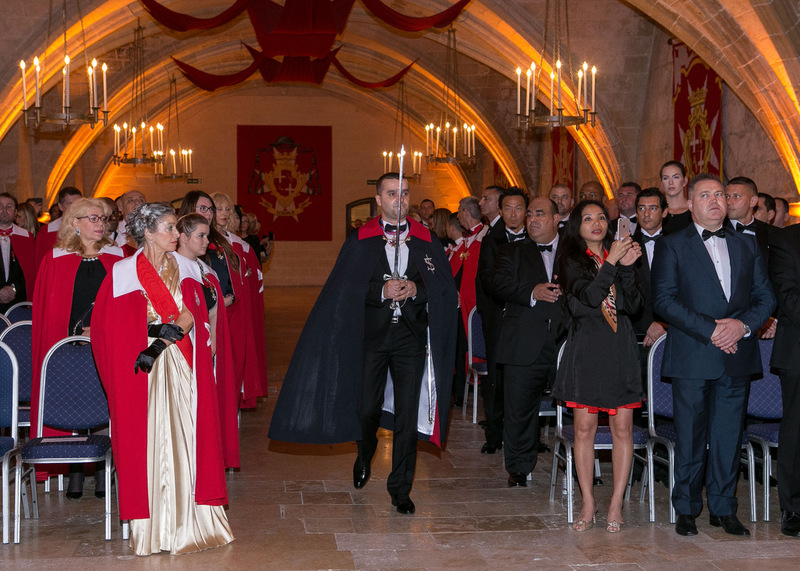 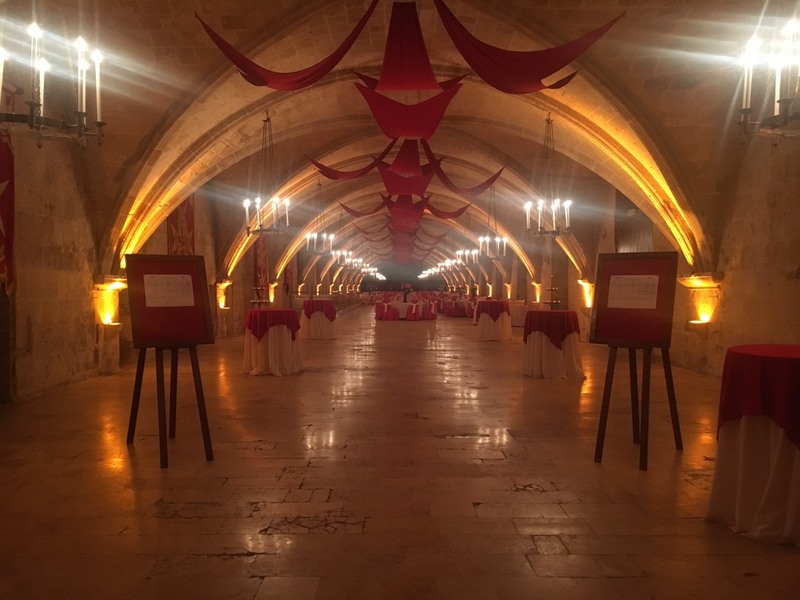 The ceremony ended with a photo session, then the newly inaugurated knights and dames, family members and guests attended the Gala Banquet – served at the second part of the La Valette Hall with the music by the Maltese Guitar Duo. 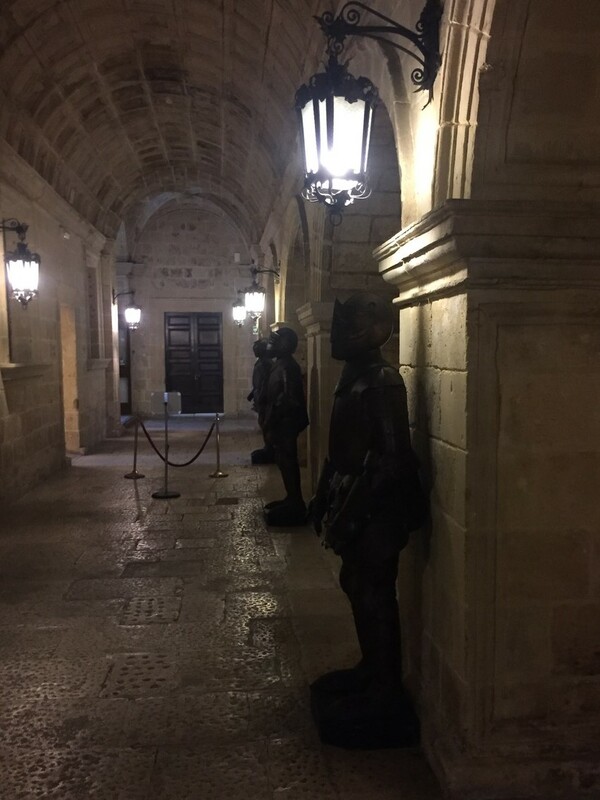 During the dinner, the Museum of Sacra Infermeria, situated at the lower level was open especially for our members and guests to visit the very interesting exhibitions displaying the medical activity of the knights in the hospital at the time. 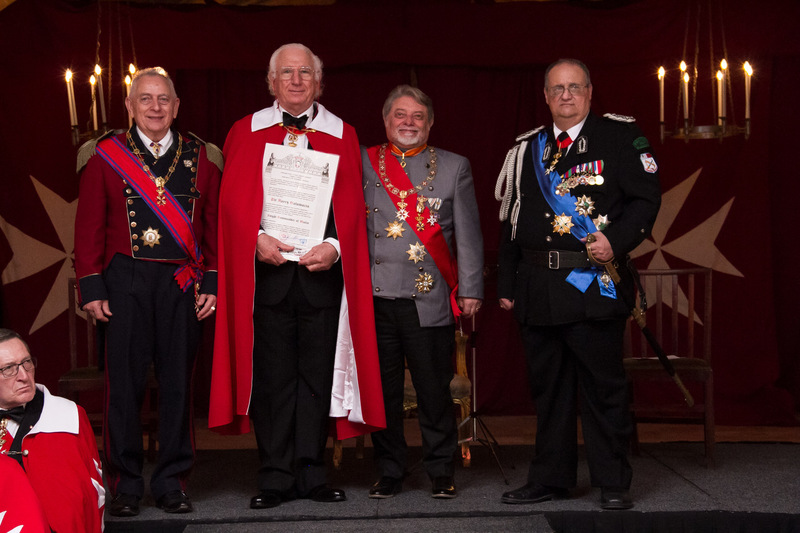 We are very proud of our brave and great predecessors who provided excellent medical care to all in need.